Marketing is a very important part of your business. I would go as far as to say that it is crucial. If you have a great product, but no one knows about it you won’t make much money! You must market. However, you must do it the right way. I have noticed that many people forget about one key component. They focus on the wrong aspect of marketing. Leads: The first part of marketing is getting new leads. Leads, leads, leads. You want to get as many leads as you can because the more leads you get, the more potential clients you have and the more potential clients you get, the more clients you have. Potential clients turn into clients. Here is an example. If you are in the online sector you will need about 1,000 leads to generate ONE SALE! So, how are you going to attract people to your business? How are you getting the leads? Experiences: What type of experiences are you going to create for your customers? Give them a great experience. WOW them! Even though you make think your idea or business is original, you are most likely not the only person doing what you are doing. The customer can choose you or 25 others in the same industry. Therefore, it’s essential to create an experience for your clients that will have people walking away from your services raving about you and your business! Current Customers: How are you going to appreciate your current clients/loyal customers? These are the people who are currently using and enjoying your services. They are the people that are going to be able to provide word of mouth marketing for you, telling their friends how much they enjoyed your services. THIS IS THE MOST IMPORTANT! Most people focus on number 1 and not number 3… The majority of people lose money in the long run by not focusing on developing and nurturing relationships with current clients. When you spend all your time on number 1, the people in the third category 3 are getting left out. So, how are you going to ‘wow’ them? How are going to go above and beyond to nurture and appreciate your current customers? The existing customers will be the walking mouthpiece for your business. They will tell a friend that will tell a friend that will tell a friend.People tend to trust a direct referral before they trust a stranger in their email inbox! In addition the existing clients can grow to be the most loyal clients. They can be the clients that support you and hire you for years to come. Many of your future clients may be your existing clients. Therefore you have to treat them right. Let me know below how you will nurture your existing clients. This entry was posted in entrepreneurship, Marketing, Uncategorized and tagged business, female entrepreneurship, Lenise Williams, loyal clients, marketing on February 29, 2016 by MompreneurEsq. 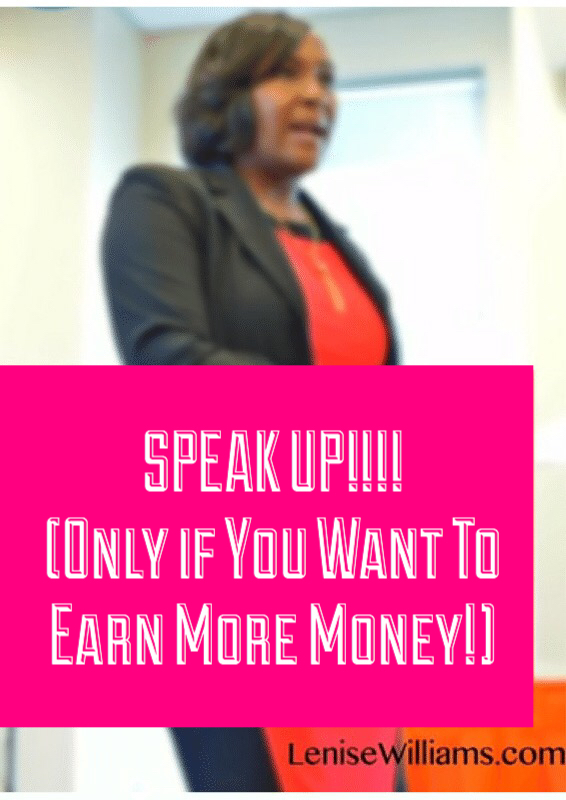 SPEAK UP only if you want to earn more MONEY! Public speaking. Does the thought of it make you cringe or does it excite you? The thought of speaking in front of more than 2 people that I know made me break out in hives. Well, maybe not that extreme but it did make me pretty nauseous! Throughout high school, college and even law school I was scared of speaking publicly. I was forced to get over it once I retained my first client in my law practice. The day of the trial I was petrified. It was either sink or swim! I am happy to report that I swam and haven’t looked back. Since “swimming” I have realized the importance of public speaking. Public speaking can help take your business to the next level even if you never have to step foot in a courtroom. 1. 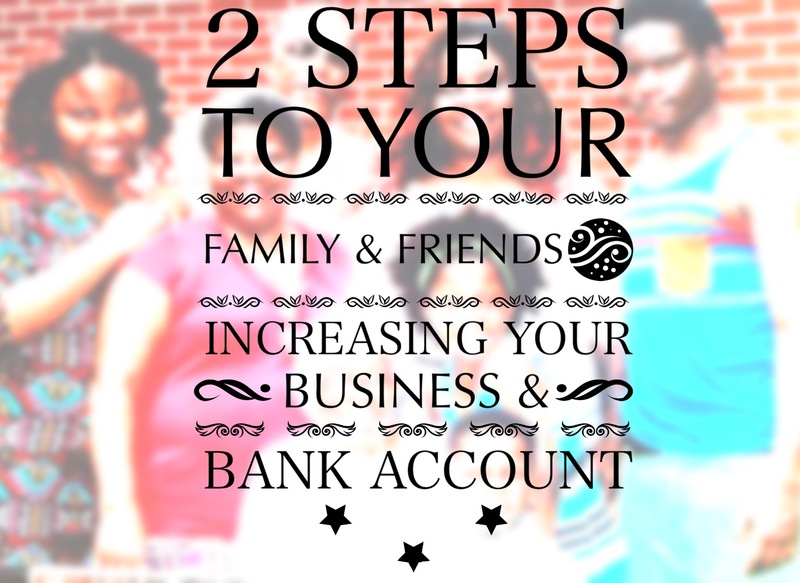 You made need money Will your business need capital? Have you considered trying to obtain a loan or investors? If so you will need to clearly articulate many things about your business. You may have to pitch your business in front of a crowd of people. If you are scared to speak publicly you may miss out on a loan or a big fat investment check! 2. Increase sales: Public speaking helps you to establish yourself as an expert. Think about it….when someone invites a person to speak to a group of people the audience will recognize that person as an expert before that person even steps foot on the stage. The more you speak the more of an expert you become. The more of an expert you become the more people will become interested in your products or services. The more interested they become, the more money they spend. BAM! It is just that easy. 3. Think Big! You may be operating your business from your kitchen table today. However that can all change at any time. If you go to a one member business to a business with 10, 20 or even 50 employees will you be prepared to address them? Yes, they will want to hear from the leader at some point! Employees expect to hear and see their executives. 4. It Can Make or Break Your Company: There are 5 key business skills that can make or break your company. Four of these key skills can easily be outsourced. Which one cannot be outsourced? Yep! You guessed it… Public Speaking. The good news is that this skill can be learned. With practice you can become a great public speaker. Once you learn exactly where your fears stem you can tackle them and overcome. Try hoping on the live streaming app, Periscope. This allows you to get comfortable with speaking to a group without having to physically see the group in front of you Also check out groups like Toastmasters International where you can get real experience & feedback with a group of people also trying to improve their skills. Here is a great article on overcoming your fear of public speaking. Whether you are in the early stages of entrepreneurship or if you are a seasoned entrepreneur you will be a better entrepreneur by mastering public speaking. If you want to learn more about obtaining public speaking gigs,creating public speaking topics, the proper contracts for public speakers and more you will want to check out Girl Biz Academy. The “Senior Program” in Girl Biz Academy offers a comprehensive guide and step by step tutorial on how you can emerge and/or grow as a public speaker. Don’t forget REGISTRATION CLOSES NOVEMBER 15! This entry was posted in branding, corporate speaking, Marketing and tagged branding, business coaching, expert status, Lenise Williams, public speaking on November 5, 2015 by MompreneurEsq. We all have friends (well if you have a personality…smile) and we all have family that we call on for help/ support. In addition the same people call on us for help/support. When I am in a bind and need a babysitter, I pick up the phone and call someone. When a friend/ family member’s car breaks down, they pick up the phone and call and ask me to pick them up. That is the way it’s supposed to be, right? We all know that we need help at some point in our lives. In my case it is more like I know I need help at some point in my WEEK or DAY! ha! We quickly ask our friends and family for things that will benefit us in our personal lives, but quite often we forget to include them on our list of those that can help us with our business. Although your friends nor family may be entrepreneurs or be top executives in a company that can benefit you, they are still able to help you take your business to the next level by doing two very simple things. 1. Telling their network about you: Yes, it is that simple. Just tell someone! If you are anything like me you have provided services/ products to people for as little as F-R-E-E! It is what we sometimes do for those that we care about. After giving away your time and resources asking for a “shot out” on social media or a request for them to hand out 25 business cards should be a simple repayment, right? I am willing to bet that this person asked you for your expertise or your product. If they did they likely will be eager to share your info in exchange. Sharing your info can yield you many more clients/sales and CASH than that one freebie cost you. 2. Check their contacts: I am wiling to bet real money (not monopoly money) that there are people in your contact list in your cell phone or on your email list that can take you and your business to the next level. It may be someone you talk to everyday, but you just have not thought about how they (or someone they know) can help put real money (not monopoly money) in your bank account. Create a list of your business goals and who you may need to satisfy those goals. Next think about who you know that has the ability or the contacts to get things in motion. For example: your cousin works at IBM. You have been wanting to do corporate training with a company like IBM. Instead of asking your cousin to bring baked beans to the next cookout why not ask her to send a quick email to the HR department?! You likely have many of the resources that you need right at your fingertips, but you don’t recognize them. I challenge you this week to reflect and then ASK. Ask those in your circle to refer business to you. Ask your family/friends for that perfect intro that can turn your business into a crazy money making machine! Make use of those fabulous connects that are just sitting on. Remember that the key is to ASK. A closed mouth does not get fed. This entry was posted in Marketing and tagged entrepreneur, increase sales, networking, women in business on September 7, 2015 by MompreneurEsq.